A portion of S Franklin Street between E Brorein Street and Channelside Drive and S Tampa Street between E Brorein Street and S Franklin Street will close beginning on Sunday, October 7, 2018 for utility construction. 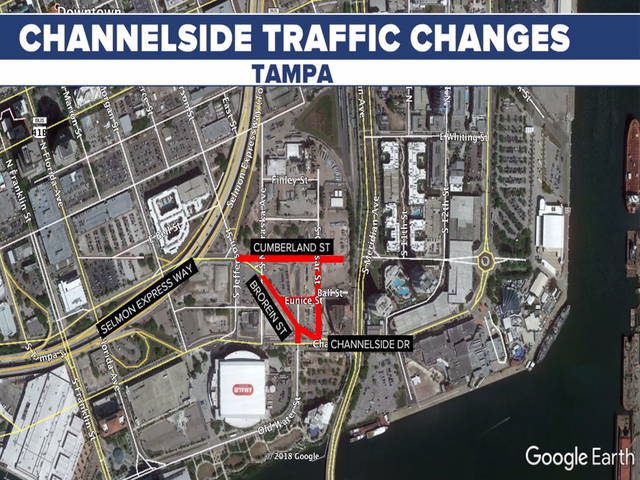 TAMPA, Fla. — A portion of S Franklin Street between E Brorein Street and Channelside Drive and S Tampa Street between E Brorein Street and S Franklin Street will close beginning on Sunday, October 7, 2018, for utility construction. 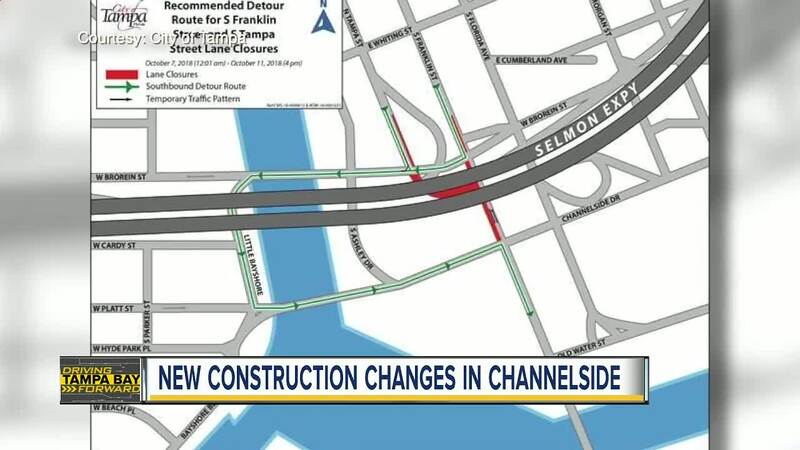 Both southbound lanes on S Franklin Street between E Brorein Street and Channelside Drive and S Tampa Street between E Brorein Street and S Franklin Street will close at 12:01 a.m. Contractors will be working in the southbound lanes on S Franklin Street between E Brorein Street and Channelside Drive requiring S Tampa Street between E Brorein Street and S Franklin Street to be closed during construction. 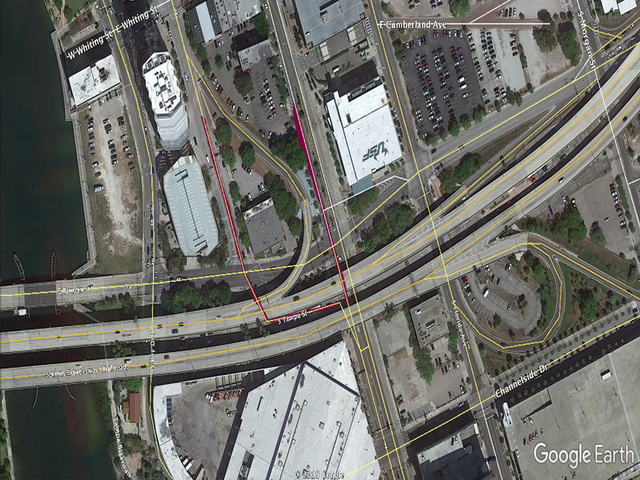 The city contractor will be doing emergency repair work on an existing sewer force main and a private contractor will be installing utilities for a new restaurant at the Tampa Convention Center in the southbound lanes on S Franklin Street between E Brorein Street and Channelside Drive. It is anticipated that all lanes on S Franklin Street and S Tampa Street will reopen to traffic by 4 p.m. on Thursday, October 11, 2018, weather permitting. This comes as City of Tampa leaders are expected to approve the elimination of the Brorein Street "S" Curve on Thursday morning. The elimination of the Brorein St. “S” curve will allow for the next phase of roadway construction that will create a grid in this area. The grid network is much more efficient for traffic flow, and typically safer, in terms of driver/pedestrian sight lines, said Jean W. Duncan, P.E. Transportation and Stormwater Services Department Director.